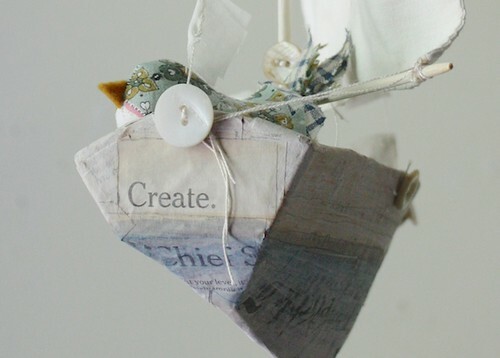 Brooklyn artist Ann Wood draws, paints, and makes an assortment of one-of-a-kind, ethereal boats and birds that are snapped up by avid collectors. 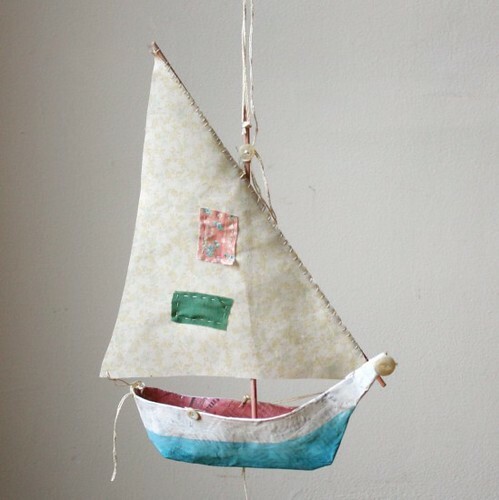 A consummate repurposer, Ann uses salvaged fabric scraps, often culled from antique Edwardian garments, to make sails and clad the soft sculpture creatures who steer her handmade paper maché ships. 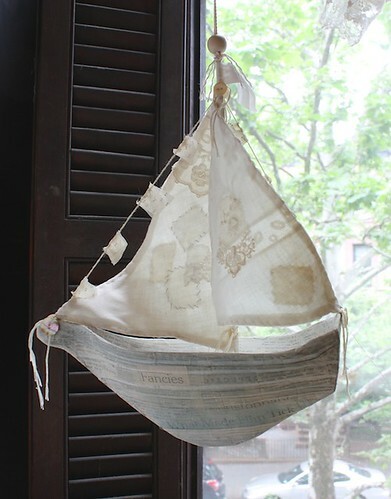 ...or follow her instructions to create this little Mediterranean sailboat with a single sail. The supplies are so basic, it's a project you can jump into right away. 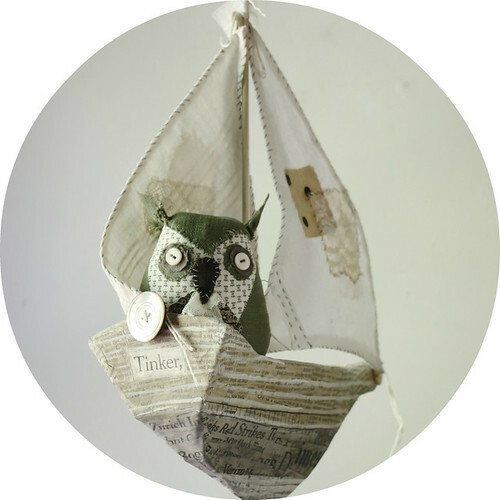 Keep up with Ann Wood's latest projects via her blog. So delightful! I can understand why they don't stay in the studio long. 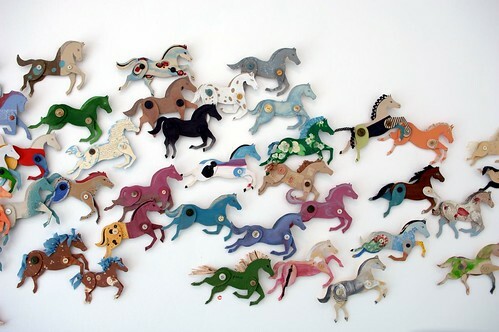 Her birds look so adorable!, Nice of her to share her tutorial for the card board horses. Delightful. Thanks for introducing another fanciful artist. 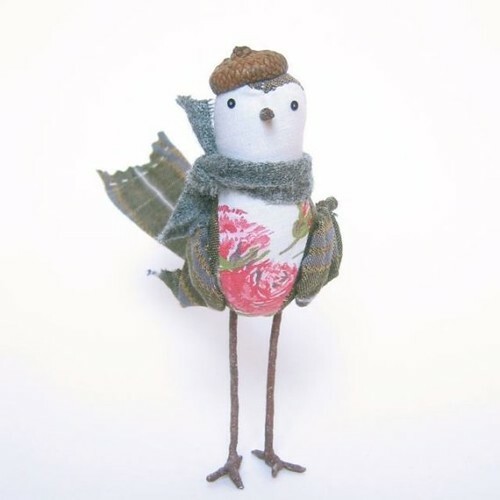 I totally adore Ann's work. wow! !....creative and inspirational artpieces!! i love the bird sculptures, but the boats are adorable! !....such a fantastic combination!! congrats to ann...i look forward to viewing more of her adorable artpieces!! A long time ago I tried to make something similar to the sail boats. It's REALLY hard and time consuming and for me was a "craft fail"...what remarkable talent she has! So glad you all enjoyed seeing Ann's work!